Originally starting out as a brand for surfers, Finisterre is continuously expanding and broadening it’s horizons. Sea and surf lover Tom Kay started the brand over ten years ago and has since then been designing high quality products which have proved to stand the test of time. Each product undergoes a tests to ensure the garment is capable of withstanding the weather conditions it was designed for. Over the years, Kay and his team have gained a wide knowledge of what fabrics and manufactures are best for the Finisterre products. For example, atypically using Merino backed denim for some of their jeans, they have also developed a good relationship with 300 year old Sheffield steel makers. This is only a snippet of ‘goodness’ which happens at Finisterre. Now, Finisterre share with us their latest and what is my favourite from their collection, the Petrichor Jacket. 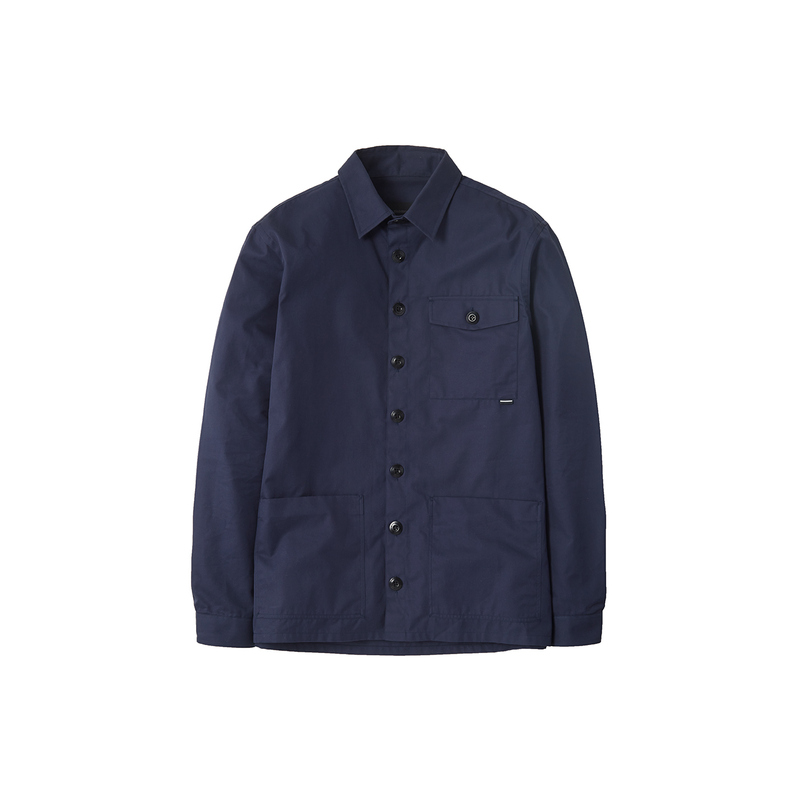 The jacket is made from a heavy, tight weave allowing for a durable and most importantly, a water repellent cotton finish. The fabric is also used as an outer layer by a famous British rain mac maker. My guess would be Mackintosh or Burberry or perhaps even what Gannex once used for their iconic Macs, back in the day. 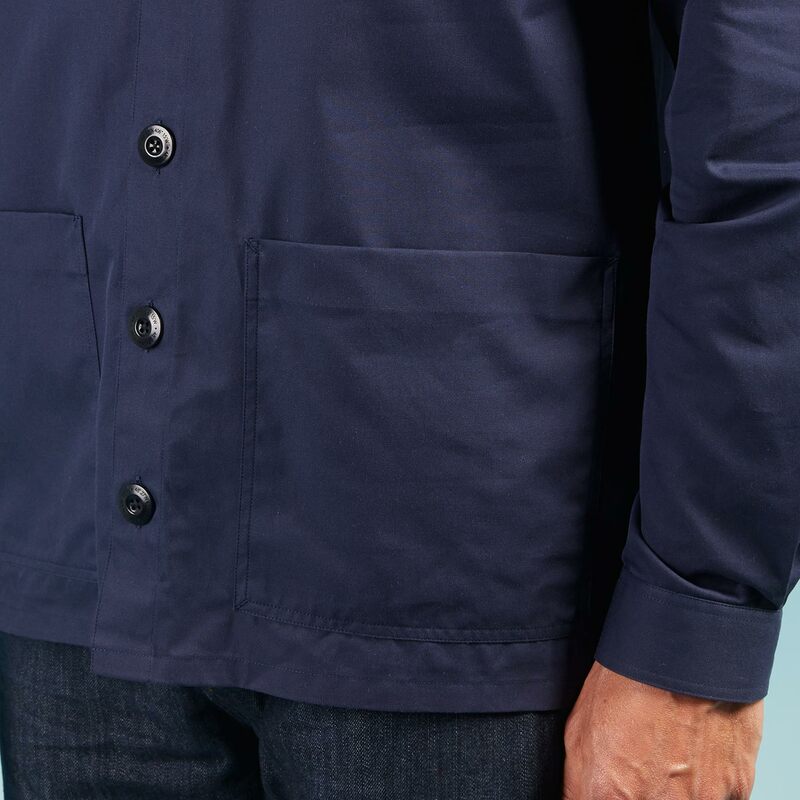 The fabric, woven and produced in Portugal makes for a high quality piece, featuring two hand warmer and breast pockets, as well as a subtle logo tag beneath the chest pocket set off with jet black engraved buttons, this is a perfect jacket for the unpredictable British weather. This bit of quality kit can be yours at the very reasonable price of £130. Release in London, St Agnes, Falmouth, Braunton stores and online 24th of June!